Welcome back to Sunday Scratchups, weekly recipes from scratch around grocery sales and affordable ingredients. This week we’re kind of stretching the definition of “from scratch,” but I thought it would be fun to show you how I’ve been making these copycat Gluten Free Dairy Free Pizza Lunchables for Junior High Guy. Plus, there are some nice sales this week to help you put together a budget version of these homemade Lunchables for your own crew. * Not dairy free? Just throw in a little container of shredded mozzarella, too. 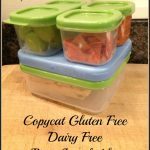 Or if your dairy free kid, unlike mine, is a fan of cheese alternatives, add a container of shredded Daiya or other nondairy cheese. So what sale products am I using this week? These Lunch Blox are so cool! Pasta sauce. I used Lazy Cherry Tomato Marinara Sauce (the spicier version at the end), but pasta sauce has been on sale at a number of local stores recently. Pepperoni. I used Hormel original, which is labeled gluten free. The minis would be more authentically “Lunchable,” but my Target didn’t carry that kind. Hormel pepperoni is everyday priced $2.99 at Target or Mama Cozzi’s runs around $2.19 at ALDI. 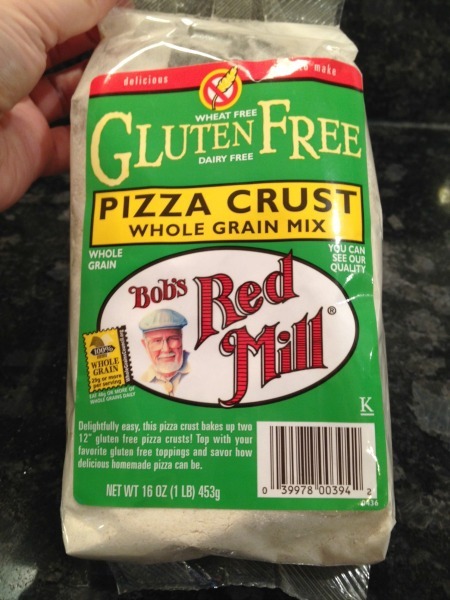 Bob’s Red Mill gluten free pizza crust, which is often a decent price on Amazon. Grapes. Substitute your own sale fruit of choice! If you’re using Bob’s Red Mill gluten free pizza crust mix as I am here, bake to package directions with the following changes: Spread each ball of dough into a rectangle on a greased cookie sheet rather than a round pizza pan. I added some Italian seasoning on top of mine (optional) and baked at 425 degrees for 9 minutes, flipped pans around, then baked another 10 until browned on the edges and cooked through. 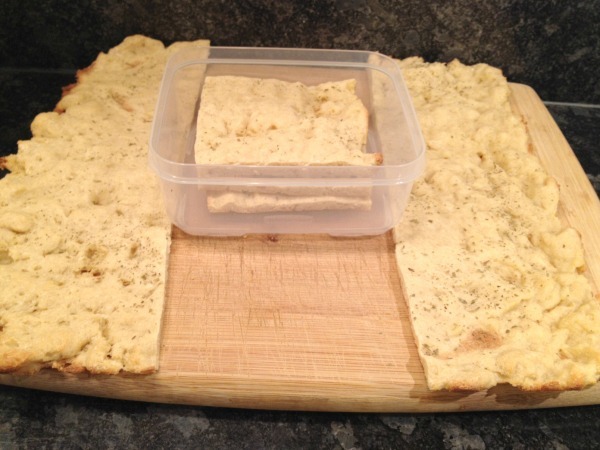 I sliced each crust into ninths with poultry shears to fit the Lunch Blox, then used three slices for the Copycat Pizza Lunchable and saved the rest in the fridge for another day. 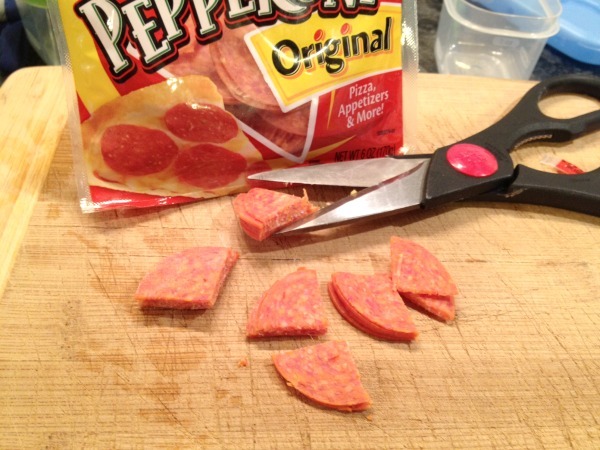 I then used my handy-dandy poultry shears to snip the pepperoni into quarters (skip if using minis). Now, just assemble! 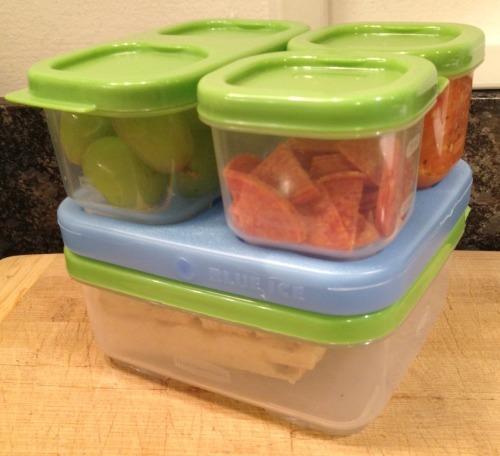 Fill your Lunch Blox containers with sauce, pepperoni, crust, and fruit, and boom: Handy Copycat Gluten Free Dairy Free Pizza Lunchable, done and ready to go! Just add a drink to the lunch bag, and probably a napkin for the inevitable sauce spill. 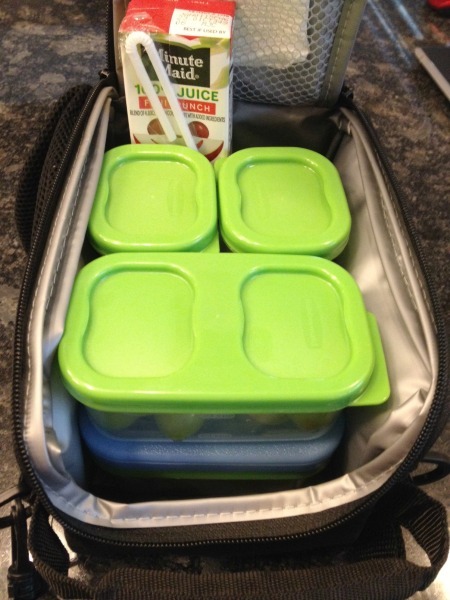 … and a lot more fun, especially if your kid with food allergies has been pining for a Pizza Lunchable of their own. Enjoy! 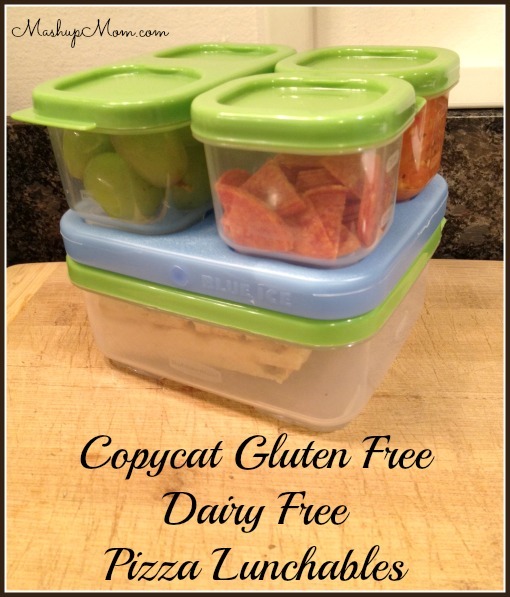 A great alternative for gluten free kids who want a Lunchable of their own! 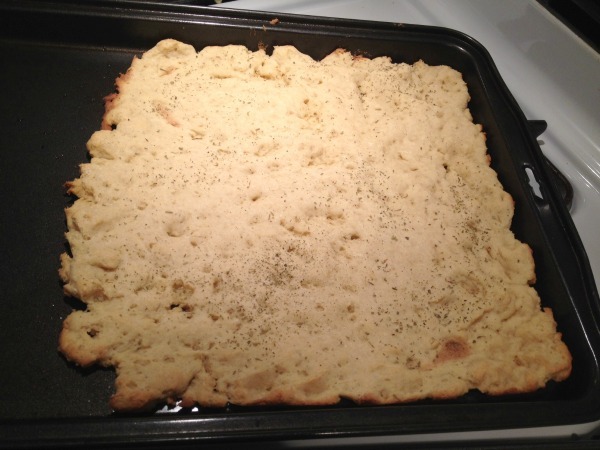 Spread each ball of dough into a rectangle on a greased cookie sheet rather than a round pizza pan. I added some Italian seasoning on top of mine (optional) and baked at 425 degrees for 9 minutes, flipped pans around, then baked another 10 until browned on the edges and cooked through. 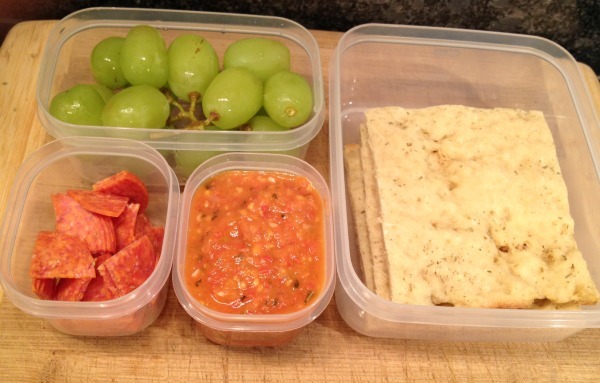 Fill your Lunch Blox containers with sauce, pepperoni, crust, and fruit, and boom: Handy Copycat Gluten Free Dairy Free Pizza Lunchable, done and ready to go! Just add a drink to the lunch bag, and probably a napkin for the inevitable sauce spill.